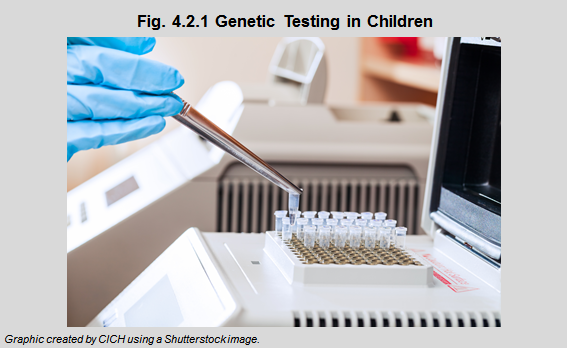 There are many other genetic tests that are available to children. A number of them are not recommended. For example, genetic testing to identify conditions that do not become apparent until adulthood, such as some types of cancer, cardiovascular disease, and other single-gene conditions, are generally not recommended during childhood. Likewise, susceptibility or predictive testing to identify which people have a higher chance of getting a disease before symptoms appear are not recommended during childhood except possibly for hypertension, certain types of cardiac conditions, and certain hereditary cancers such as familial polyposis. Some tests should be used with caution in certain situations, for example, pharmacogenetic testing to predict the individual’s response to a drug or course of therapy.